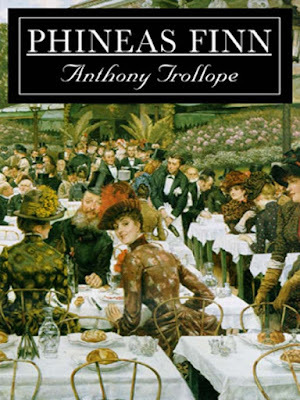 Phineas Finn is the second book in Anthony Trollope’s acclaimed Palliser series, a set of six loosely-connected novels delineating the lives and loves of Great Britain’s political elite in the period from the late 1850’s onwards. Given that the essential nature of politics does not really change, there is a lot of relevance to be found from Finn to the present day. 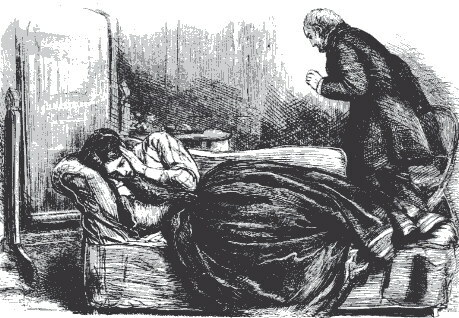 The book itself, which is, like most of Trollope’s prolific output, massive in size, deals with five years in the career of Phineas Finn, a young Irishman who is studying law in London. 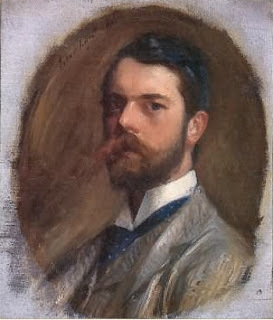 Handsome and personable, Finn makes a number of friends among the well-connected young men around London, such as Barrington Erle and his fellow-Irishman Laurence Fitzgibbon, members of the Whig, or Liberal party, which is then in opposition, as the Tories are in Government. His friends induce him to stand for election from an Irish borough in the next general election, and despite being advised to the contrary by both his father and the barrister with whom he has apprenticed, Mr Low, Finn takes the bait and enters into political life despite having neither money nor a professional reputation. From here begins the story of Finn as a private individual and as a political entity, and the moral conflicts that define his life. Finn is not rich, as mentioned before, but he does hold political views, and these are tested as motions are moved and voted on in the House of Commons. He supports electoral reform, but his own seat is a rotten borough. But Finn’s political career is a story of success, despite some initial financial trouble with the collection agent, Clarkson. Despite his initial hesitation to speak in Parliament, Finn makes friends with other political dignitaries like Mr Monk, Mr Gresham and even Mr Mildmay. The wheels churn, and the Whigs find themselves in Government, and Finn now begins to take steps towards parliamentary honours, and from contemplating resignation, finds himself an Undersecretary in the Government (a position like a Minister of State in India). The Whigs are riven by internal differences though, and Mr Turnbull, a man whose description as strong reminiscent of India’s own PM Modi, though his actions are closer to those of Arvind Kejriwal in his anarchist days, takes up cudgels for electoral reform. Mr. Turnbull was a good-looking robust man about sixty, with long grey hair and a red complexion, with hard eyes, a well-cut nose, and full lips. He was nearly six feet high, stood quite upright, and always wore a black swallow-tail coat, black trousers, and a black silk waistcoat. In the House, at least, he was always so dressed, and at dinner tables. What difference there might be in his costume when at home at Staleybridge few of those who saw him in London had the means of knowing. There was nothing in his face to indicate special talent. No one looking at him would take him to be a fool; but there was none of the fire of genius in his eye, nor was there in the lines of his mouth any of that play of thought or fancy which is generally to be found in the faces of men and women who have made themselves great. Mr. Turnbull had certainly made himself great, and could hardly have done so without force of intellect. He was one of the most popular, if not the most popular politician in the country. Poor men believed in him, thinking that he was their most honest public friend; and men who were not poor believed in his power, thinking that his counsels must surely prevail. He had obtained the ear of the House and the favour of the reporters, and opened his voice at no public dinner, on no public platform, without a conviction that the words spoken by him would be read by thousands. The first necessity for good speaking is a large audience; and of this advantage Mr. Turnbull had made himself sure. And yet it could hardly be said that he was a great orator. He was gifted with a powerful voice, with strong, and I may, perhaps, call them broad convictions, with perfect self-reliance, with almost unlimited powers of endurance, with hot ambition, with no keen scruples, and with a moral skin of great thickness. Nothing said against him pained him, no attacks wounded him, no raillery touched him in the least. Finn’s own seat is in danger as Turnbull votes against his own PM. A case of police high-handedness against supporters of Turnbull puts Finn on the spot, as his own landlord, Bunce, is manhandled outside Westminister, and then comes the greatest test of his convictions – land reforms, a privilege the government has given to England, but not yet to Ireland, a measure that puts Finn in the uncomfortable situation of having to decide between loyalty to his political masters and to the people he represents. Finn’s private life is just as riven with dilemma. His first love, Mary Flood Jones from his village of Killaloe in Ireland, has no property and Finn knows he needs to marry well to maintain his standing as a Parliamentary gent. His affection transfers itself to Lady Laura Standish, who is also his political mentor, of sorts. Though Lady Laura and her father, Lord Brentford, do much to help Finn politically, he is unable to win her heart – or is too late in seeking it. Lady Laura is unhappy in her marriage, but our hero is happy enough to then fall in love with the heiress Violet Effingham, but here his rival is his own close friend (and Lady Laura’s brother), Lord Chiltern. Finally, there is the rich and beautiful widow, Madame Goesler, and here his rival is none other than the Duke of Omnium, uncle of our old friend Plantaganet Palliser, who, along with his wife, the lovely Lady Glencora, were such an endearing part of Can You Forgive Her. Planty Pall and his wavy-haired wife make a smaller appearance here, though Palliser’s elevation to Chancellor of the Exchequer is completed here, and his wife’s salvo against Madame Goesler makes for very interesting reading. 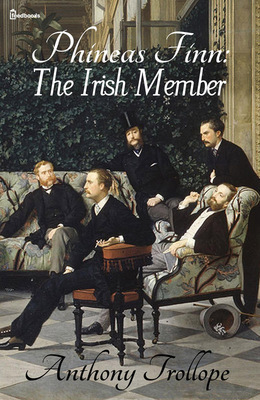 Whether the young Irish MP chooses pragmatism or ideals, friendship or love, and which of the lovely young ladies finally favours him with her hand, these are the matters at the core of the book. Trollope holds together the threads of politics and love with considerably felicity, and as readers we feel invested in Finn’s fate over the massive length of the book. Compared to Can You Forgive Her, where the politics is secondary to Alice Vavasor and Lady Glencora’s love stories, in Phineas Finn, politics is at least as important as the social life. There is a lot to learn here, as well as to enjoy. "Unless indeed a man were to feel that he was in some way unfitted for office work. I very nearly provided for myself an escape on that plea;—but when I came to sift it, I thought that it would be false. But let me tell you that the delight of political life is altogether in opposition. Why, it is freedom against slavery, fire against clay, movement against stagnation! The very inaccuracy which is permitted to opposition is in itself a charm worth more than all the patronage and all the prestige of ministerial power. You'll try them both, and then say if you do not agree with me. Give me the full swing of the benches below the gangway, where I needed to care for no one, and could always enjoy myself on my legs as long as I felt that I was true to those who sent me there! That is all over now. They have got me into harness, and my shoulders are sore. The oats, however, are of the best, and the hay is unexceptionable." the description of the Cabinet meeting, Phineas’ first debate in the House, the Duke of Omnium’s grand ball, are but a few among scenes that are written as well as any in English literature. Trollope’s writing is smoothly Victorian, and if the book is heavy, the prose is not. The authorial intervention is also less here than in the previous novel, and that is to the good. There are instances of shifting points-of-view that are less-than-ideal for those of used to more polished narratives, and one does wish there was more of the Palliser couple than the few glimpses we are offered. The characters are well-drawn. Phineas the young politician caught between ideals and ambition, is likeable and relatable. Laura Standish, politically ambitious at a time when women did not have a vote, is a tragic figure of a sort, and a noble one, even, in the way she holds faith with Phineas. Violet Effingham, vivacious and impetuous, is no conventional heroine, but is the most influential character in the story nonetheless. Madame Goesler is a fascinating study of a financially independent woman in the nineteenth century, and perhaps her duel with Lady Glencora would have been the centrepiece of a differently-told novel. 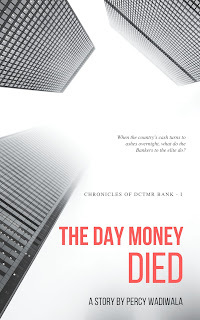 But for all the good and less-than-good, Phineas Finn succeeds in entertaining the reader – and inducing this particular reader to scour his bookshelf for the next in the series, The Eustace Diamonds. And you say you are not a professional reviewer! Such a good review. Way to go. Fantastic review. The series certainly goes into my to-read list. Pronto.